Edit - Reminder! Don't forget to redeem this freebie! The coupon expires July 4! We spotted a free today! This coupon is for an absolutely free product, no BOGO this time! 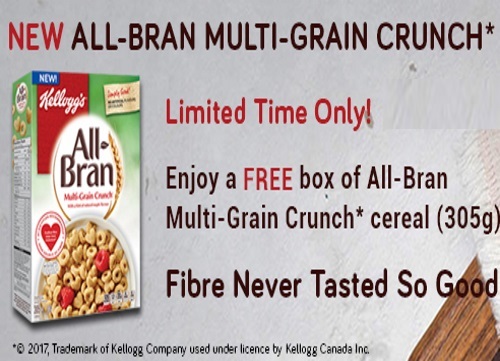 Get a Free box of All Bran Multi-Grain Crunch Cereal 305g with the coupon below. Coupon expires July 4, 2017 or once you get it, redeem it soon! Click here to order the coupon.